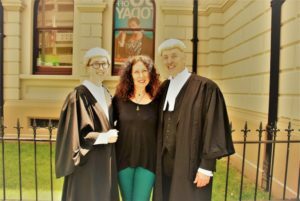 It is with great pride that we announce another member of the Schoeller-Burke family to be admitted to the New Zealand Bar. Tara works with a Wellington law firm and is specializing in Commercial Law. As a learned member of the Law Society of New Zealand, she will be an invaluable adviser in all things commercial. We wish her the very best on the start of her journey through this interesting career.